Why the Twin-Strand Work Pallet Handling System? The foundation of the Glide-Line pallet handling system is a twin-strand conveyor designed to transport work piece pallets from workstation to workstation. 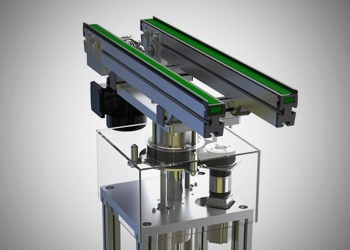 Transport conveyors connect in multiple ways to suit a variety of assembly system requirements. 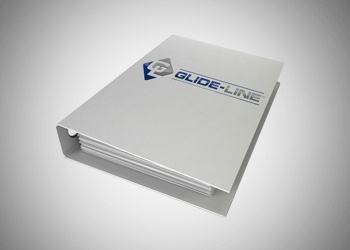 Glide-Line can be constructed with as many strands as needed to transport panel-like products or large, platform-type fixtures from workstation to workstation. The Glide-Line twin-strand is the foundational conveyor for configuring entire work pallet handling systems in any way imaginable. IMPACT!, Glide-Line’s in-context configurator, combines access to 3D CAD and solid modeling tools with prices, part numbers, and capabilities in real time. 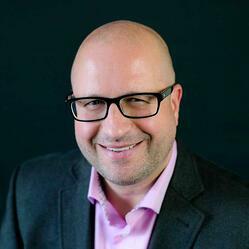 Making models intelligently saves time and reduces costs overall. The twin-strand work pallet handling system was built with a focus on maximizing lead time and space for efficient installation and increased throughput. Make developing your Twin-Strand Work Pallet Handling System easier. Skip the back and forth and get up-to-date product numbers, pricing, and more immediately. Our catalogue is ever expanding. Feel free to check out some of the options below, but know that we are willing to create a solution that solves your exact problem or need. In fact, that is how many of the products you will see on our site originated - out of necessity to solve our customer's problems. 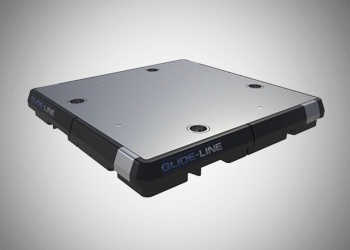 Glide-Line pallets work as a carrier for work pieces as they move around a conveyor system. 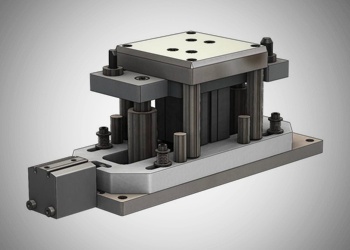 Most pallets are tooled with custom fixturing components to secure work pieces as they are handled, and each pallet contains a set of precision bushings for exact pallet location at each workstation by means of our Lift and Locate Units. The foundation of the Glide-Line pallet handling system is a twin-strand conveyor designed to transport work piece pallets from workstation to workstation. 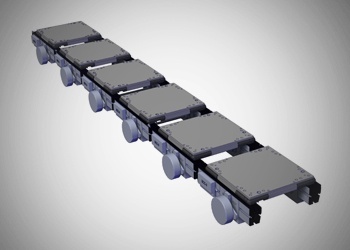 Transport conveyors offer multiple connection alternatives to suit a variety of assembly system requirements and are available with multiple power input options as well, including 24VDC motors. Glide-Line ZP, a gentler, more reliable and energy efficient conveyor solution created by eliminating 100% of backpressure caused by accumulation.With traditional conveyors, there is often backpressure from upstream pallets, motors running continuously, unnecessary wear and tear on the entire system and continuously running the conveyors which wastes energy. Lift Transfer Units move work piece pallets from one transport conveyor to another. Each unit contains a pair of belts that lift to engage the pallet perpendicular to the direction of flow. The lift action raises the pallet up and over the guide rail so it can be conveyed onto the adjacent transport conveyor. Units are bi-directional and can be set up to manage two, three, and four-way traffic control conditions. 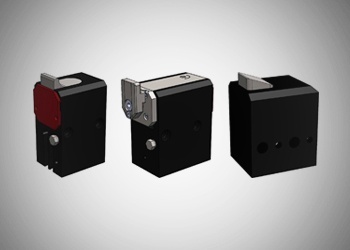 The Heavy Duty Lift and Locate Unit delivers repeatable, positional accuracy within ±.05mm. 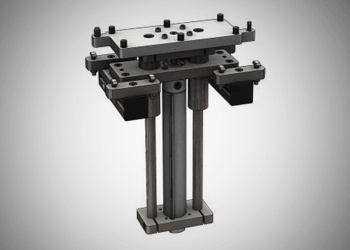 The vertical lift position is fixed at 1.5mm above the belt, and the unit is designed to handle heavy loads for press operations such as swaging and ultrasonic welding. This unit utilizes a pneumatic shuttle that slips between the baseplate and the lift anvil once the pallet is raised into position. 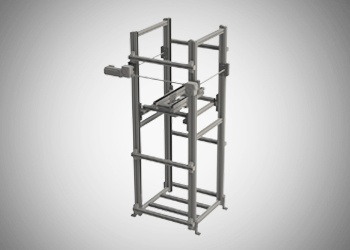 Heavy Duty Units must be station-mounted on suitable structures to absorb the required loads; accuracy and repeatability are relative to the mounting structure. Vertical Transfer Units (VTUs) transfer pallets from one level to another. This unit utilizes a section of transport conveyor as an elevator platform and benefits from a vertical servo-driven actuator for positioning. The elevator platform conveyor can operate in either direction, enabling the VTU to accept and discharge pallets from both sides, and the servo allows multiple stopping positions along the stroke. The unit is supplied as a stand-alone module. Vertical Transfer Units (VTUs) transfer pallets from one level to another. This unit utilizes a section of transport conveyor as an elevator platform and relies on a vertical pneumatic cylinder for actuation. The elevator platform conveyor can operate in either direction, enabling the VTU to accept and discharge pallets from both sides. The unit is supplied as a stand-alone module. 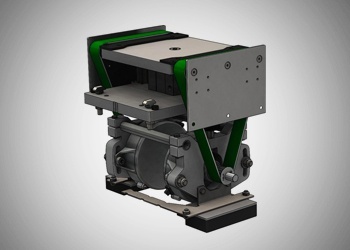 The Lift and Rotate unit is designed to turn pallets 90° or 180° in a clockwise or counterclockwise direction. 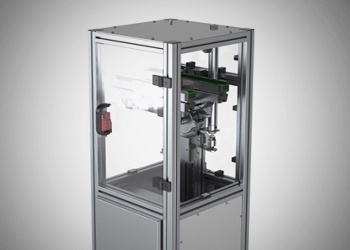 The unit uses pneumatics (lift portion) and servo motors (rotating portion) for ultra-smooth rotational motion and acceleration. 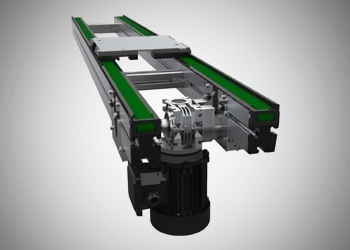 Servo motors are customizable for special applications that demand continuous rotational motion, such as winding operations or visual inspection requiring multiple view angles. It can also act as a lift-and-bypass unit, lifting pallets and placing them on a shelf so other pallets can pass through. 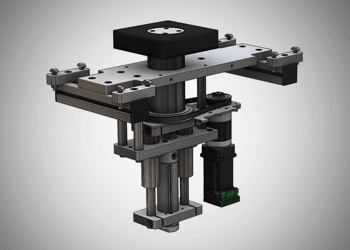 DART Drop and Rotate Transfer Unit is a revolutionary innovation for pallet and work piece handling designed to simplify layouts and reduce cost.This specialized hub has been specifically design to maximize layouts and save complexity and cost. The DART system is a powered conveyor that can rotate from 1 degree to 360 degrees to accomplish almost any angle transfer in a system, including conventional right angle transfers. The pallet can either rotate with it (changing orientation) or stay static (maintaining orientation). With this new design in your overall layout design toolbox, Glide-Line’s DART will allow for endless opportunities and maximize assembly workspace. All stops can be configured to be pneumatically single or double acting, to stop work-piece pallets so an operation can be performed. Dampened Stops offer a pneumatic cushioning force to the work piece that slows the impact of the pallet against the stop. The cushioning force can be adjusted to suit specific application needs. Larger stops and higher cushioning forces are available upon request. Glide-Line curves are a mechanism to change the direction of a pallet. Pallets are conveyed around the curves by means of a solid, round urethane belt that is driven on v-groove pulleys. Small idler pulleys follow the track to reduce friction and prevent wear and tear. 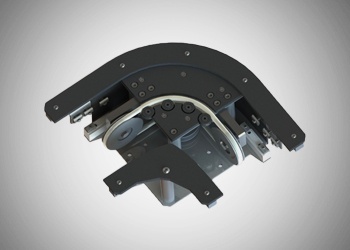 Due to the configurable nature of our systems, curves can be configured in any angle from 15 to 270 degrees. Can’t find what you need? Check out some of our custom-standard solutions. And if you still can't find what you need, our team of engineers can help you find a creative fix. Do you have special wiring or tubing hanging from your product? Have any questions? Feel free to reach out. If you have a question about the listed products or want to discuss your specific needs with us to see how we can help, then please, reach out and we would be more than happy to talk to you. One of the biggest challenges faced by applications engineers today is the time it takes to receive accurate pricing and model numbers. You spend time using an online configurator from a conveyor manufacturer, downloading the step files and setting up mates and references in SOLIDWORKS to meet the requirements of your automation system. 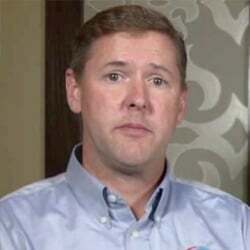 The conveyor software is typically built for only one thing: communicating one particular conveyor’s specifications to your conveyor design software. 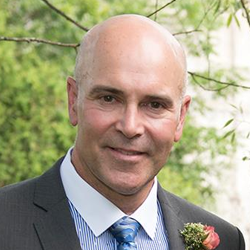 Kevin Hayes, Director at PrimeTest Automation and Glide-Line customer, speaks to his satisfaction with Glide-Line as a leader in custom conveyor automation.